When it comes to a home removal to Silvertown, E16 like most people you probably want it to be a simple process. You want the hard work to be taken care of by professionals, and not to have to worry about a thing. Here at Moving Service we provide lots of options that make this scenario a reality. We have a variety of options available here at our company, and we do our best to ensure that they're not overwhelming. 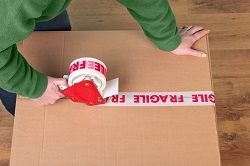 Our helpful staff aren't just there to arrange removals, but they can also provide helpful and useful advice. Want to see which of our removal services are for you? Call us on 020 8746 4402. There's a moving service that suits everyone in the entire E16 area, and we've got a lot to offer. But at the end of the day it boils down to these three options: the standard removal package, a man with van hire and removal van rental in Silvertown, E16. They are all good for different reasons – you hire a van if you want to take care of the move yourself, and one of the others if you don't. They're all high quality services, and we guarantee complete customer satisfaction from beginning to end. The area is known for a number of things – it has its roots in industry, and this still holds true today. But that doesn't mean it's without its residential areas. There are a lot of job opportunities in this E16 area, and it's well connected due to its multiple transportation hubs. The area is based in East London borough of Newham, and contains (among other things) London City Airport – one of the six international airports in London – it's one of the smaller airports, but still offers flights to the U.S and many European destinations. The West Silvertown railway station is a Docklands Light Railway station, which allows easy access to The City of London. As a place to live and work this area is a wise choice. There are many ways to make a living here, and thanks to the accessible transport links, it's easy to get around. It is definitely worth a second look! There are a lot of removal options in the toolbox, and they're all available with us. Choosing whether to go it alone or with a removal van hiring service is not hard to decide upon. Do you want to conduct your removal to E16 area entirely on your own terms? If so, it's the right choice for you, but if you want the safety net of a professional mover, you should hire a professional mover, or the man and van mover. Choosing between those two, on the other hand requires a little more thought. The main difference between the two is the price and man power that's available. Our man with van service has the advantage on smaller moves because of this, but if you're planning to move a family, our standard moving package is the way to go. Once you've decided (or if you need some additional assistance) call Moving Service on 020 8746 4402. 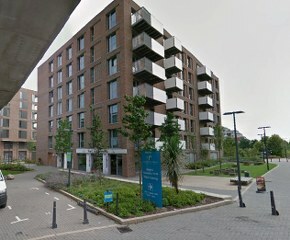 It's worth having a high quality removal provider on hand – and that is exactly what we provide here in Silvertown, E16.